5 Must-Read Books for Real Estate Investors – Our most popular blog post ever operates on the basis that you don’t need to read every single investing book on the market to be successful. I’ve collected 5 must read books about the best investing strategies, taxes, and business principles to help you jump-start your investing venture! 5 Most Landlord Friendly States - Before purchasing a rental property, you’ll want to be informed on how lease agreements, security deposits, and evictions will be handled in that state. The implications can be substantial, so you don’t want to overlook this list! How to Secure Funds to Purchase Rental Properties at Zero Percent Interest - It’s not often that I find a rental strategy so incredible that I HAVE to share it. If you’re looking for a way to purchase a rental property, whether it’s your first or hundredth, this strategy can help you grow your portfolio. How to Invest in Real Estate with None of Your Own Money – This post is one of our oldest, but it’s timeless! If you want to invest in real estate but you don’t have money, this blog post is for you! 10 Tax Deductions for Real Estate Investors - My favorite tax accountant Tom Wheelwright likes to say, “if you’re a real estate investor and you’re paying taxes, then you’re doing something wrong!” One of the top benefits of real estate investing is the enormous overall implication on your tax burden. This post outlines five tax deductions you’ll want to consider! The Real Estate Investor’s Guide to: The 4-Hour Workweek by Tim Ferriss - New York Times Bestseller, The 4-Hour Workweek by Tim Ferriss is chock-full of useful information about living a deliberate lifestyle, and allocating time intentionally. This aligns perfectly with real estate investing. As you know, real estate investing is the best way to earn passive income and attain financial freedom. The Real Estate Investor’s Guide to: Rich Dad Poor Dad - Many successful investors who I’ve interviewed for the Investing in Real Estate Podcast have something in common—they struck inspiration after reading Rich Dad Poor Dad by Robert T. Kiyosaki. If you’ve read the book, this should come as no surprise. In fact, it’s touted as the #1 personal finance book of all time. 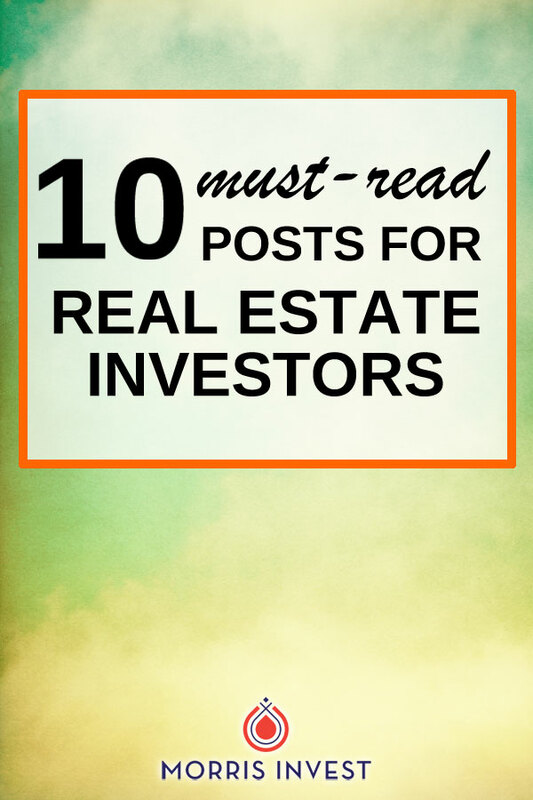 Check out this post to hear why this book is the guidepost for real estate investors. How to Replace a $70,000 Salary with Passive Income through Real Estate Investing - What if you could replace your salary from your 9-5 job with passive income through real estate investing? You might think this sounds like a tall order, but it’s actually quite attainable. I’ve done it, and I’ve watched other investors do it too. All you have to do is follow a simple formula, and you’ll be earning a passive income in no time! Flipping Houses vs. Owning Rental Properties - Flipping houses and owning buy and hold rental properties are two of the most popular real estate strategies. These two strategies work very differently, and generally I recommend that you choose one path. This post is designed to help you choose the right strategy for your lifestyle. How to Evaluate Debt Service on a Rental Property – One question we always get is, “how do I maintain positive cash flow if I have to pay back my loans?” If you’re financing a rental property, you’ll want to make sure your deal covers those expenses! This blog post is here to help! Bonus: free spreadsheet included!